Modern libertarianism is derived from the ideas of the "classical liberal" movement, which began in the 17th century with writers such as John Locke and later Adam Smith, Thomas Jefferson, and Frédéric Bastiat, just to name a few. These classical liberals believed that individual liberty should be maximized by recognition of self-ownership and private property rights. They also understood that government is always destructive of freedom, and should be limited in scope and nature. Many of us take this for granted, but this was revolutionary (and often "treasonous") talk in a world of kings, nobles, state-granted monopolies, politicized economic controls, crippling taxes, and constant wars that had more to do with business interests than with the people actually dying in them. In that mercantilist world, you were considered a "subject," not a "citizen," of whatever government you lived under. You did not own your own body. Your property could be taken at any moment by the whim of a king or baron or even a soldier. You could be kidnapped, given a gun/sword/spear and a uniform, and be sent around the world or just two miles down the road to kill and conquer people that never harmed you. Or, your land could be invaded and you and your family killed because some king wanted your land. This was life for the vast majority of people that have ever lived. The classical liberal movement was only barely successful in Great Britain, which was already a superpower with colonies and protectorates around the world and wasn't about to give that up. However, even those relatively small gains in economic and personal freedom unleashed a wave of creativity and industry and were largely responsible for the Industrial Revolution in Britain, one of the largest continued increases in the standard of living for the average person that the world has ever seen. Jumping ahead, the initial principles behind the French Revolution were also liberal, but libertarianism in France died as their Revolution descended into bloody authoritarianism and eventually dictatorship and empire under Napoleon. This is actually where we get the source of the "left wing/right wing" paradigm. During the French Revolution, the "liberals" and "radical" delegates sat on the left side of the assembly hall while the representatives of the ruling classes occupied the right side of the hall. So there was a "left wing" that championed liberty and a "right wing" that championed statism. The liberal movement saw its greatest success here in America. The classical liberals behind the American Revolution were "radicals" in their day, rebelling against the "status quo" of war, taxes, controls, monopolies, corruption, executive power, and big government in general. The Founding Fathers were such "extremists" that the form of government they decided on afterward was beyond what was considered possible at the time. Even during the Revolution, however, there were very powerful forces working to undermine classical liberalism in America. The ruling classes of the world, such as the kings, nobles, international banking houses, and industry leaders were deeply threatened by classical liberal ideas and wished to preserve the mercantilist system of empires like Great Britain: poverty and serfdom for the masses and luxury and power for the elites. So at first you had the "liberals" and "radicals" fighting for individual liberty and economic freedom against the "conservatives" who sought to undo everything accomplished by the classical liberals, but then things started to get confusing. Socialism began in the 1830s as a confused ideology that took bits and pieces of both conservatism and liberalism. Socialists took from the liberals an acceptance of the Industrial Revolution (due to the resulting rise in the standard of living), expanded suffrage, and adopted the rhetoric of peace, freedom, equality, and prosperity for the masses. However, the socialists wanted to accomplish their goals through the conservative methods of statism, collectivism, and hierarchy. Thus, a socialist state always establishes the rule of politicians or technocrats who only claim to rule "scientifically" in the name of "the people." Socialism is liberal in rhetoric but conservative/authoritarian in action. These conservative/semi-conservative forces were hugely successful in the 19th century, largely due to their ability to use government resources to influence public opinion through schooling. Whether we're talking about priests during the Middles Ages or college professors today, rulers have always allied themselves with and legitimized an "intellectual caste" that serves only to justify any action taken by the state. As these conservative and socialist forces gained ground, liberals became content to simply guard what they had already won. Instead of constantly pushing for progress and refining theory, the classical liberals lost interest in principle and began to compromise and focus on gradual change (which results in no change at all). The aforementioned alliance between the statists and the "intellectual caste" began to take its toll as well, as laissez-faire liberal ideas were successfully re-branded as reactionary, outdated, and even conservative, while the statists re-branded themselves as "progressives" and "liberals." 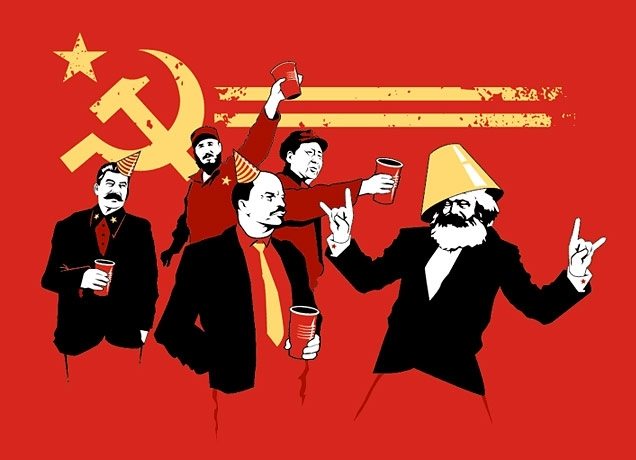 The socialists were able to assume for themselves the "left" wing and became the movement of change, hope, and progress, while pushing liberals/libertarians in the middle or "moderate" position of a confusing spectrum where the left wing's unlimited state power is opposed to the right wing's unlimited state power. The classical liberals morphed into a "conservative" movement that allowed itself to become stagnant and eventually completely irrelevant, not even lasting into the 20th century. The Jeffersonian and Jacksonian drives toward libertarianism in early America stalled with Jefferson's second term, Jackson's aggression toward Native Americans, and Martin Van Buren's failure to win a second term. Slavery, a major compromise in libertarian principle, would land the mortal blow on the movement. and virtual one-party government of Lincoln's Republicans and the establishment of the same mercantilist policies the country rebelled against. 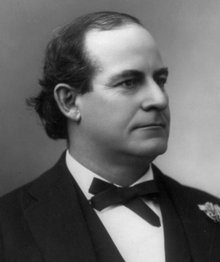 There was an attempt to return to libertarian and Constitutional standards after the war (under the Cleveland administration, for example, which had already been branded "conservative" by that time), but the Democratic Party, which had long represented classical liberalism in America, was eventually captured by forces led by William Jennings Bryan, who abandoned economic and personal libertarianism while still harboring anti-imperialist beliefs. But even this non-interventionist foreign policy was eventually abandoned almost 20 years later when Democrat Woodrow Wilson wanted to get America in WW1. Stood on principle. Elected 12 times. So what the American people were left with until the emergence of the Libertarian Party in the 1970s was a choice between two sets of power brokers with their respective and often coinciding special interests and goals. The similarities are more apparent now than ever, as members of both major parties are clearly threatened by the resurgence in libertarian ideas since the presidential campaigns of Ron Paul. Establishment Republicans are trying to rid their party of people who don't just speak small government rhetoric, but believe in it as well. They isolated and ignored Ron Paul for years and, at the risk of destroying their own party, are now doing the same thing to his followers by labeling them as "extremists" and "ideologues," as if standing firm on principle could ever be a bad thing. Why? Because libertarians (and anarchists like myself) are steering the discussion back toward personal liberty and individualism and away from authority and collectivism while the establishment Republicans were perfectly content to ride the coattails of the Democrats into a future of high-tech feudalism. 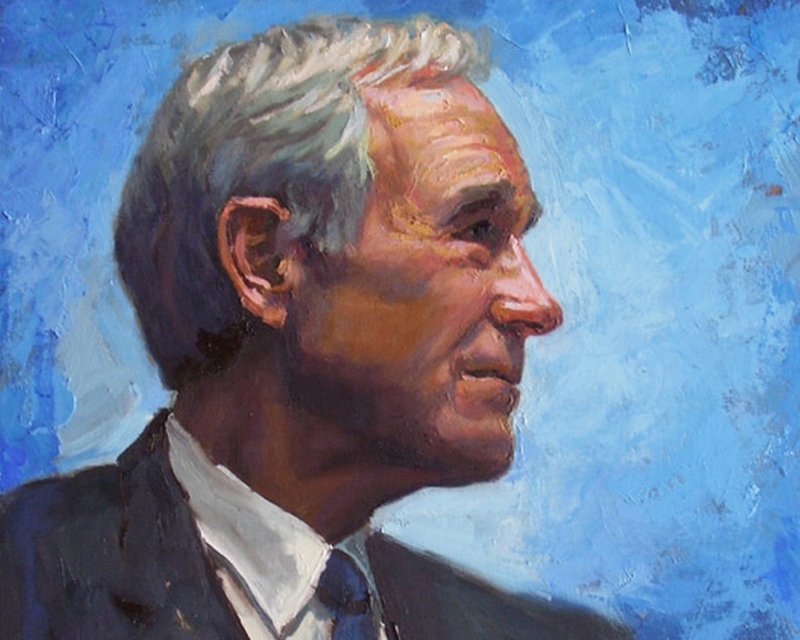 What Ron Paul did with his presidential campaigns is what libertarians must continue to do: educate people that left versus right, Democrat versus Republican is pointless. It's a centuries-old war between liberty and power that is going to keep being fought until humans evolve past their need/desire for government.